you are here : home > land & property > Phuket Realty & Associates Co., Ltd.
Phuket Realty & Associates Co., Ltd.
overview of Phuket Realty & Associates Co., Ltd.
Phuket Realty & Associates is a property business, run by three female friends, who wanted to offer a warm, personal & professional service to their clients. We came together with the same aim – to make the dream of owning beautiful property a pain free reality. We take care of our clients as if they were our own family. We only provide details of those properties that we believe are safe & secure investments. We want our clients to be happy, and in most cases they have become life long friends. The ultimate in luxury and affordability. The very best locations with magnificent views and services in ultra-secure locations. Only a select number of outstanding properties remaining. Phuket’s most superior and luxurious private villas are now available for rent. Enjoy absolute privacy and first-class service in your own superior tropical holiday villa. Choose from an impressive array of land parcels in the most spectacular and breathtaking locations. Build your own dream villa, private development, or boutique hotel. 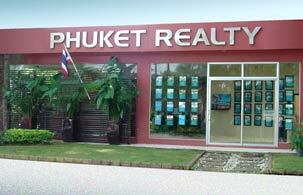 photo gallery of Phuket Realty & Associates Co., Ltd.
map & location of Phuket Realty & Associates Co., Ltd.